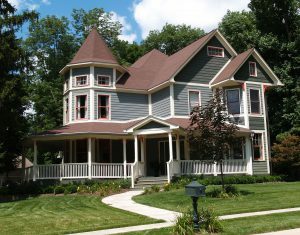 A few simple weekend home projects can improve the beauty and functionality of your home. While kitchens and bathrooms are the most popular rooms for a home renovation, any room can be improved with a few upgrades and added accessories. 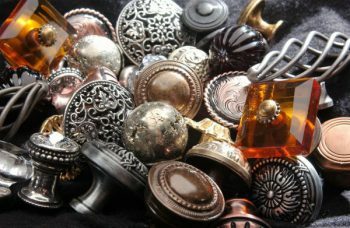 Cabinet knobs come in hundreds of styles from simple roun d brass knobs to rustic wooden knobs to classic styles like glass and porcelain. The half-moon curved bin pull has been around for generations and is offered in many finishes to complement any style. Classic arch designs? Yes, Van Dyke’s has hundreds of arch style pulls. 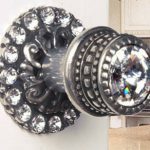 Need something with some sizzle, try a jeweled knob or pull from the Carpe Diem collection with genuine Swarovski crystals. Updating cabinet hinges is another way to change the look of the kitchen. From classic H-hinges to more ornate options, Van Dyke’s Restorers has a great selection of hinges for any style home. Butterfly, parliament, steeple, offset, primitive – the choices are endless! 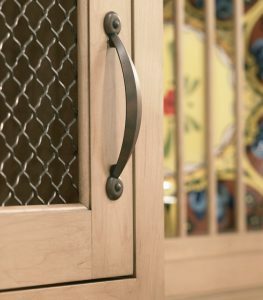 One of the hottest trends in kitchen makeovers is adding decorative wire grilles or glass to some of the cabinet doors. This adds visual interest and breaks up the continuous pattern of wood doors. For the do-it-yourselfer with some electrical skills, add under-counter lighting or a pendant light over an island or bar. From simple to ornate, Van Dyke’s offers over 70 styles of pendant lights. Add functionality and a refined look in the b athroom with bathroom accessories. 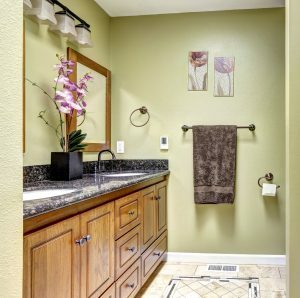 Many manufacturers offer bathroom ensemble collections that include toothbrush holders, soap dishes, towel racks, towel rings, robe hooks, and tissue holders. Many collections also have matching toilet handles. Mix and match pieces to create a coordinated look. Bathroom accessories are available in every design style from Colonial to modern and in a variety of metal finishes. A new mirror or medicine cabinet is another simple bathroom upgrade that can enhance the look without killing your budget. As we featured in a blog December 23, 2016, decorative hat and coat hook can be used in any room and are offered in an array of styles. Van Dyke’s has one of the largest selections of hooks with literally hundreds of styles, sizes, and finises. Install hooks on a post with legs for a DIY coat tree. Some of my favorite accessories offered by Van Dyke’s involve the staircase. 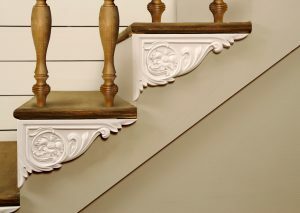 Add a decorative element to the stair system with decorative stair brackets. Stair brackets are installed on the outside edge of each individual stair, and are available in wood or polyurethane. Van Dyke’s has a new collection of polyurethane brackets in many styles from Victorian to more modern. 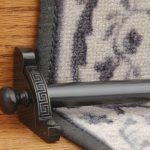 For stairs with carp et runners, add a carpet rod and holder for an elegant look. Dust corners date back to the 1800’s and come in many styles. Dust corners make sweeping stairs easy as dust bunnies can’t collect in the corners. With winter already in full swing in many parts of the country, consider upgrading your floor registers. From heavy cast iron grilles to decorative wood models, Van Dyke’s has a nice selection of floor registers and wall return air grilles. Don’t forget the windows! Keep windows tightly closed with a huge offering of windows stays, sash locks, cremone bolts, and latches. When planning on home renovation projects, don’t forget the small details like switch plate covers. They come in many styles from Arts and Crafts and Mission to stylish copper designs. 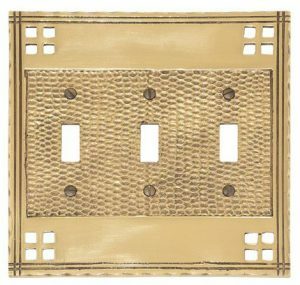 Plate covers are offered for any configuration of switches, duplex, rocker, and pushbutton styles. There are also simple projects for the exterior of the home. Keep shutters in place with a decorative shutter dog or a primitive strap hinge. Add a decorative accent over windows and doors with a stylish crosshead. New polyurethane models are easy to install and will withstand harsh weather and insects. Urethane will not split or crack like wood. 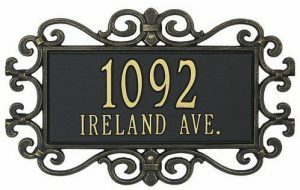 Add a personalized address plaque to help identify your home and assist emergency personnel locate you if needed. Check out the thousands of restoration hardware items offered on our website for more inspiration.